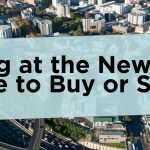 Buying your first home is a big decision, it entails making both a big investment and incurring big debt at the same time. Before getting a home loan, it’s important to educate yourself on the basics: How your repayments will look, your financial responsibilities, and the extra support available for you. To get your 20% deposit to buy your first home, there are a number of options available to you. These include the Welcome Home Loan scheme, KiwiSaver withdrawal, HomeStart grant, a guarantee from family (owning a house), etc. We can go through these options and identify how you can get your deposit together to buy your first home. To buy your first home, you need to have a specific amount of the deposit, most lenders are currently requiring a minimum 20% deposit. But with a Welcome Home Loan, you only need a 10% deposit, this means you may be able to move into your home sooner. Welcome Home Loans are underwritten by Housing New Zealand. 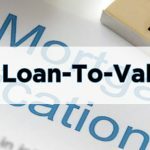 Lenders participating in this scheme can provide loans that would otherwise sit outside the lending standards. To be eligible for a Welcome Home Loan, you have to meet a specific income cap, have the minimum 10% deposit required, work within a house price cap, and you must be a New Zealand Citizen or permanent resident. If you have the 10% deposit required but do not qualify under this scheme, we can still help you with your options, contact us today to figure out the options available to you. 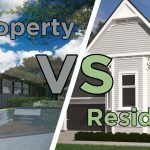 If you have been a member of KiwiSaver for at least three years, you may be able to withdraw all, or part, of your savings to put towards buying your first home. The KiwiSaver HomeStart grant provides eligible first-home buyers with a grant of up to $5,000 for individuals and up to $10,000 where there are two or more eligible buyers to put towards the purchase of an existing/older home. In addition, the KiwiSaver HomeStart grant also provides eligible first-home buyers with a grant of up to $10,000 for individuals and up to $20,000, where there are two or more eligible buyers to help with the costs of purchasing a brand new home. Professional Financial Solutions understand mortgages and the desire to become mortgage free faster. Give our mortgage broking team a call today and get a no-obligation quote for your mortgage today.